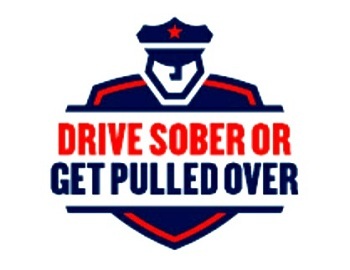 Drive sober or get pulled over – Disorderly Conduct. Driver sober AND get pulled over. The new law changes the Illinois Vehicle Code’s seat belt law from a “secondary” violation to a “primary” violation. Formerly, law enforcement officials could not stop a motor vehicle solely on the basis of a violation of the seat belt law. This law removes that exception, enabling law enforcement officials to stop vehicles solely on the basis of seat belt violations. The law provides that a law enforcement officer may not search or inspect a motor vehicle, its contents, the driver or a passenger solely because of a violation of this law. The law took effect immediately upon signing by the governor. Illinois is the first state this year to enact primary safety belt legislation and the 19th state across the country. No discussion of cute-catch-phrases-tied-to-federal-funding would be complete without “Drive Sober Or Get Pulled Over” though. As I explained back in December, that propaganda (and, more accurately, the funding behind it), is why you start seeing news of all the “checkpoints” that pop up everywhere around the holidays (I really should go back to see exactly how many St. Charles DUI arrests were made as a result of that weekend… and then check that number against the number of DUI arrests made on a “normal” weekend to see if the the money and resources spent were actually justified). Tanya Weyker was hurt so badly, she couldn’t blow into a breath-testing device or perform field sobriety tests. But a Sheriff’s deputy arrested her for drunk driving anyway. And the County hung those charges over her head for nearly a year, even long after blood tests proved she was perfectly sober. A Milwaukee County Sheriff’s Deputy rolls through a stop sign and causes a violent crash. So why was the victim placed under arrest? A FOX6 Investigation finds that a deputy’s changing story may have changed one woman’s life forever. Author matthaidukPosted on May 5, 2014 April 11, 2016 Categories Current Events, News Media, PoliceTags Drive sober or get pulled over, DUI, press releaseLeave a comment on Driver sober AND get pulled over. 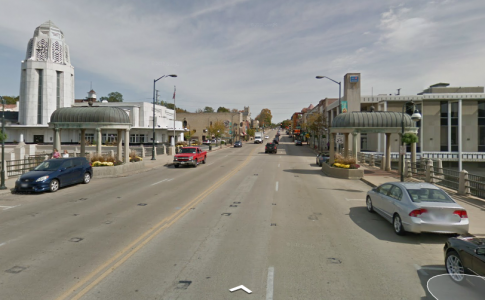 St. Charles wants you to drive sober over the holidays… does that mean they don’t care about the rest of the year? Before I go any further, I’ve got to thank the Chronicle for directly telling us this was spoon-fed to them from a police news release. You know that the media’s reliance on police press releases is an “interest” of mine. You should, right? If the St. Charles Police department is “focused” on impaired drivers during this short period, isn’t it reasonable to believe they aren’t the rest of the year? Seems reasonable to me. Although, I’m in DUI court all the time- I know that’s not true. It’s not like they arrest 100% of the drunk drivers they see this time of year, but would let 25% of them go if it were June or October. The campaign, which is conducted in conjunction with the Illinois Department of Transportation’s “Click It or Ticket” and “Drive Sober or Get Pulled Over” programs, will last through Jan. 5. The programs are annoying, mostly, because they’re more about marketing and public relations than anything else. They start with the cute names (“Click It or Ticket”) and media releases before a single person is even arrested. Local departments across Kane County and all over the country are going to be engaging in these two programs with these two cute names just like St. Charles- so expect more of these news “stories” to pop up quickly. Why is that? That’s because the St. Charles Police department didn’t dream this little deal up- neither did any of the other police departments. It’s part of a Federally funded program where your local police can apply for grants. In exchange for the grants, the local police will do things like issue media releases saying they’ll be “extra-cautious” about impaired driving. But, I digress. The St. Charles media release doesn’t acs as though the department will pay special attention to impaired driving over this time because the police disregard impaired driving the rest of the year. Rather, it’s because the federal grants will go towards things like paying overtime for officers and possibly doing things like setting up roadblocks over this time of year. So, does that grant money directly combat the problem of impaired driving? That much is clearly up for debate. Obviously the St. Charles Police, and other departments making use of the grants would tell you it does. Me? I’m not so sure- That’s a debate for another time. Either way, the safest bet is to stay safe on the road and call for a ride whenever you’ve had anything to drink– regardless of what time of year it is or what catchy name the federal government is using to administer grants. Author matthaidukPosted on December 19, 2013 May 5, 2014 Categories St. CharlesTags Drive sober or get pulled over, DUILeave a comment on St. Charles wants you to drive sober over the holidays… does that mean they don’t care about the rest of the year?